Gate of Providence has been out for almost two weeks now! So here is my second blog post. I meant to post something in November but things got hectic around that time, like my hard drive dying on me. I got a SMART warning back in July and the drive held on long enough before biting the dust in November. I had already backed everything up on an external drive so nothing was lost. Thankfully I run my OS on an SSD, so I still had a computer, but it meant that I couldn't do any development during that time (my programs were on the HDD). I bought a replacement drive (which promptly went on sale for the first time ever AFTER I received it) so it is all good now. The postmortem is like three years overdue, but it is now done. Dreamshot Dissonance was my first-ever, proper game. While it is pretty much abandoned, it is still important to me, so I decided to write a postmortem on it. You can read it here if you want. I first started getting into game development through ROM-Hacking the GBA Pokemon games and making videos on them. If you browse my YouTube channel, you can find them. It was very cool to me to be able to modify my favorite game in a way that was beyond basic GameShark codes - changing text to make characters say whatever I want, changing sprites so you could find a Darkrai in Pokemon Ruby, playing as a Mew, putting a gym in Littleroot, etc. Later on, in 2012, my friend and I began the first draft of Gate of Providence based on a Blender demo of Jun running around and swinging his sword. Development slowed to a near stop, since my friend was the only one working on it and I was essentially the "idea guy" creating work to do. The 3D Action-RPG Gate of Providence is actually still being developed, though! In 2014, I took a class on game design at my university. In that class, my partner and I created Dreamshot Dissonance. With a game completed and shipped, I wanted to make more. Around that time, Humble Bundle had a RPGMaker sale, and I grabbed VX Ace for $1. I knew I should make a small game before making something big, so I decided to make a game that would function as a blueprint for one of my first concepts - Gate of Providence! This blueprint kept growing until it became its own game. Gate of Providence took three years to complete. I was learning RPGMaker as I was creating the game, but the learning process did not take very long. My experience from ROM-Hacking proved very useful - the mapping software I used very closely resembled the RPGMaker interface. Once I knew what I was doing, the scope of the game grew. And grew, and grew... I got some friends to help with art and music, but, in the end, I was the only one working on it for most of the development time. I will talk more about this in the Gate of Providence postmortem, likely to be posted once I finish my next project. I've been making some changes to the layout of the website. The "People" and "Resources" pages have been removed, and replaced with "Subreddit". 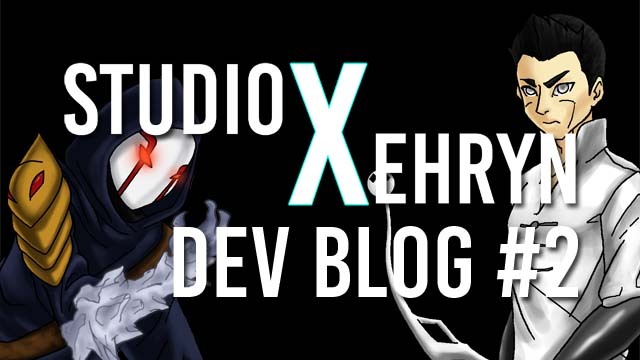 This leads to the Studio Xehryn subreddit, which will be the sub for all of our games. /r/GateOfProvidence has been closed as a result. The "People" page was unnecessary, and "Resources" barely had any content in it. In the future, the Blog will host any future resources I share. On the Gate of Providence page, I added a "FAQs" page. It contains some questions that were asked by testers and players, as well as some guides for some of the trickier puzzles and achievements. Additionally, Google Analytics has been added. I use it to keep track of pageviews. Now that Gate of Providence is complete, I can move on to my other projects - two of them are in the works. I'll also be writing dev blog posts more often (maybe at least twice a month). I've kept the development of Gate of Providence secret for the most part, but for my next two games, I'll be sharing some behind-the-scenes work. No spoilers, of course, for people who care about that. I'll be posting tutorials and resources as well. If you enjoyed reading this post, feel free to follow us on Twitter to get updates on our games and blog posts!